Have you ever sent an email, and just as it was going on its merry way, you realize you misspelled something or you sent it to the wrong person. This happens to me a lot on Gmail because sending an email is not always instant. And you have more chances to experience email regret as you are waiting for one to send. 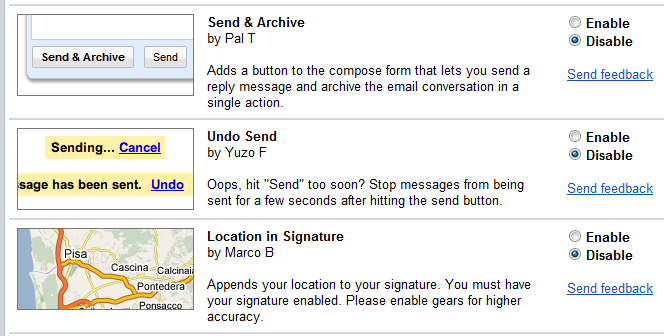 Well, now you can take advantage of that delay to “undo” the message. (Not to be confused with Gmail Goggles, which is geared more at preventing drunken emails from ever being sent out in the first place). Just enable the feature in Gmail Labs in Settings (Scroll down, it is not at the top for some reason). It only works during that 5 second delay between the time you hit send and the time that Gmail actually sends the message. What I like about this option is that it turns a bug into a feature. Gmail is really too slow, but now you can occasionally use that to your advantage.